This electric tube notcher was specifically designed to notch schedule 40 pipe ranging in sizes from ¼” to 2”. 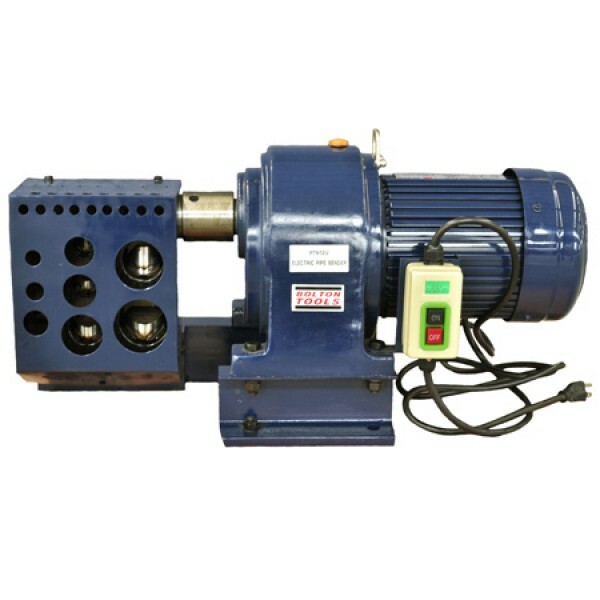 This 110 volt single phase machine provides clean and fast notches. Operation of the pipe tube notcher is easy, simply inset the end of the pipe you need to cope, It will notch one side and to notch the other side simply rotate the pipe 180 degrees and reinsert. That is a perfect 90 degree notch in seconds. 1. Notching Capacity Pipe : 1/4", 3/8", 1/2", 3/4", 1", 1-1/4", 1-1/2",2"
2. Power : 110V / 220V. 3. Shipping Weight : 203 lbs. 4. Shipping Dimensions : 36" x 16" x 18".